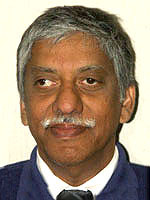 H. Ram Chowdri, MD is a graduate of Stanley Medical College University of Madras, India. Following his internship with Brooklyn Cumberland Medical College in New York and residency with the Illinois Medical Center in Chicago, Dr. Chowdri completed his Infectious Disease Fellowship with Tufts University School of Medicine and Veterans Administration Hospital. A Clinical Instructor with Tufts School of Medicine, Dr. Chowdri also serves as the Medical Director of Infection Control for the Southcoast Hospitals Group. Board Certified for both Internal Medicine and Infectious Disease, Dr. Chowdri is a member of the Massachusetts Medical Society, American Society for Microbiology and the Infectious Disease Society of America.